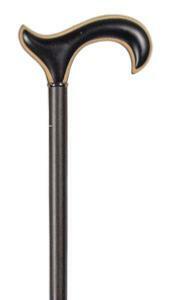 An unusual cane for the walking stick connoisseur. 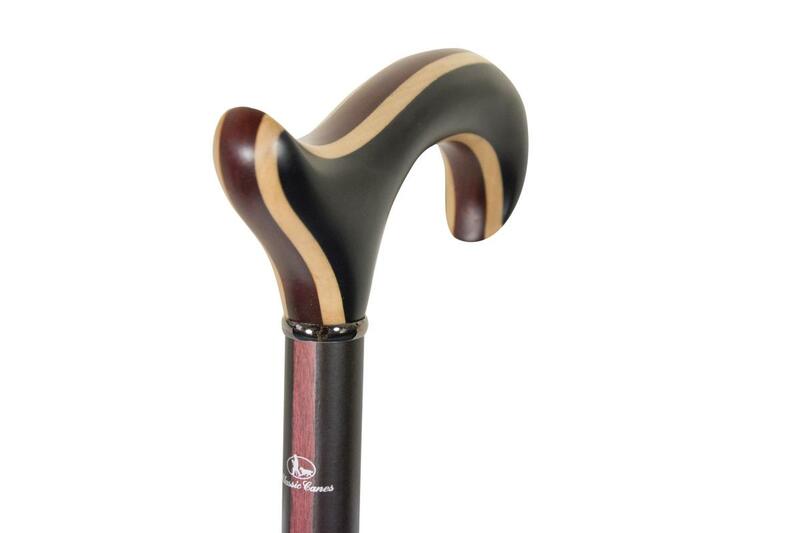 The striking handle is made from laminated strips of ebony (black) maple (cream) and padouk (dark red) wood. The shaft is black beech wood, with a dark red stained strip to complement the padouk wood. The overall height is 92cm and it is fitted with a non-slip rubber ferrule. Ferrule diameter 19mm.